Another day, another trouble. Today I show you how I managed to get a pair of wifi cameras back to life. First thing I want is a UART port. It was a bit hard to understand, even with google translator, since there was no direct answer for how to fix the filesystem, but I found someone saying how it fixed. 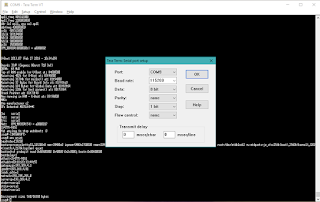 Connect the camera using a uart adapter and using Tera Term we are going to upload a new firmware. 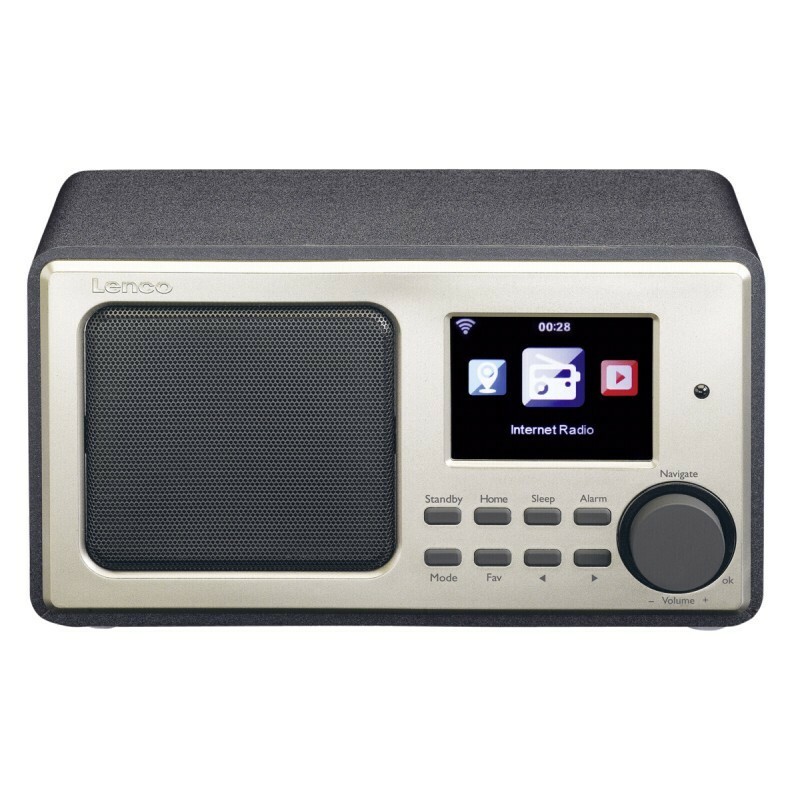 This can go bad if you lose power or connection in the middle of the transfer, and it's going to take about 30 minutes to transfer everything. You should begin to see some text on the terminal, wait for the line "Hit any key to stop autoboot:" to appear and press any key. 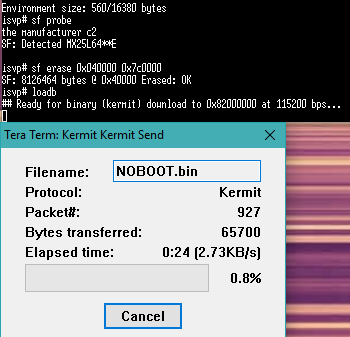 Now we begin the upload, type "loadb" and when it's "ready for binary", in Tera Term go to, File -> Transfer -> Kermit -> Send... and choose the NOBOOT.bin file. And now we wait around 45 mins for the upload to finish. Type " boot " and your camera should start spinning, so be careful! Now hold the reset button for +/- 10s until the camera fully resets. 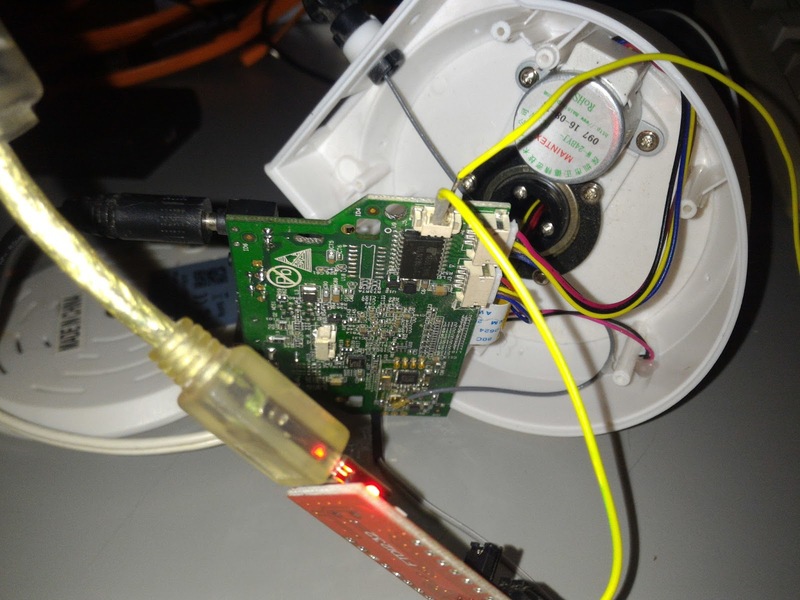 Plug in a ethernet cable to your router and access it through your browser to configure it. Congrats, you just recovered a dead camera, but if this happened randomly it can happen again. I read something about the cpu might have a flaw that causes this. You no longer have access to your camera using the netCam App or any other app that uses the camera ID to connect to it. Because your cloud server code has been lost. 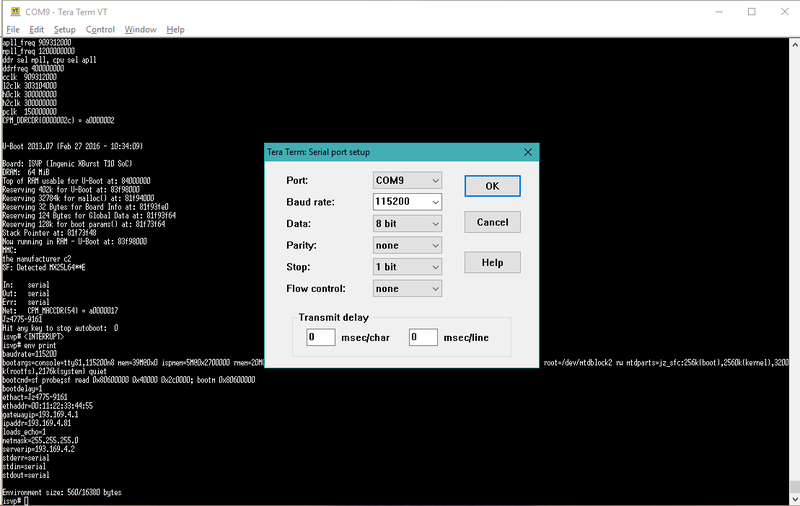 If you have your code, you can connect over telnet to the cam as "root" and "hslwificam" as the password and change some files. You can read more on the forum. 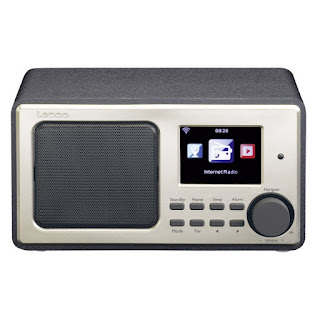 Last week I got a new gadget, a Alarm Clock/WiFi Radio that can also play music from USB or UPNP or DLNA. Pretty nice. But I want to know MORE. 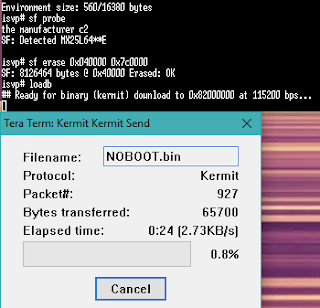 Oh, hello there telnet, and it also has a webserver. Nothing is clickable, and the images aren't loading. There we go, we're in. Yes, thats a "text" asccii like battery icon. The file name is "bat_1_step.bin"
And thats all for now. Going to mess more with this after my finals. by Dg. Tema Espetacular, Lda.. Imagens de temas por RBFried. Com tecnologia do Blogger.